The UK is due to leave the EU. This information is based on a current understanding of how Brexit may impact your consumer rights. As there is further clarity on how Brexit will impact on your consumer rights, this information will be updated. As a consumer in the Republic of Ireland, you may frequently buy goods online, or over the phone, from businesses based in the UK. When buying from a business in the EU, you have strong consumer rights under EU consumer protection legislation including the Consumer Rights Directive (CRD). The CRD includes the right, in most cases, to cancel your order within 14 days of delivery. Know where the business is located. Do not rely too much on the domain name of the website (for example, .ie or .co.uk). This does not necessarily tell you where the business is located. If the business is in an EU member state, including Ireland, then your rights will not change because of Brexit. If the business is outside the EU, the rights you have under the Consumer Rights Directive do not apply. EU consumer law will not apply to traders in the UK after the UK leaves the EU. Can you change your mind about an order if you want to return it? Can you cancel an order before it is dispatched? Do you have the right to return the item and if you can return an item, who pays for the cost of returning it – you or the business? Note that this is important to know whether a business is in the EU or not. If you have a complaint against a business in another EU Member State, and you cannot resolve it, you can use the European Consumer Centre (ECC) Network by contacting ECC Ireland. Once you contact ECC Ireland, it can raise your issue with the ECC in the country where the business is based. The ECC in the country where the business is based can then raise the issue with the business on your behalf, if necessary. In addition to the ECC Network, consumers can avail of an EU-backed system of alternative dispute resolution for participating traders and also have access to the European Small Claims Procedure. These procedures are available only where a consumer and a business are both in an EU Member State. Once the UK leaves the EU, there is considerable uncertainty as to whether the ECC network or the European Small Claims Procedure will be available in cases where the business is in the UK. In cases where product is not delivered or is faulty, you can make a complaint to the business. If the business is unable to resolve your complaint, you could contact your credit or debit card provider and request a chargeback on the basis that the goods were not delivered or were faulty. Consumers in Ireland can take individual action through the Irish Courts if they have purchased online from UK traders who do business in the EU. However, having a judgement enforced in the UK might be difficult in practice because the legal situation at this time is very unclear. What if I buy something from a UK-based business before the UK leave the EU? What rights will I have after Brexit? Your 14-day cancellation period under the Consumer Rights Directive may no longer be valid if you try to cancel your order after the UK leave the EU. However, UK law may replicate certain rights, such as the 14-day cancellation period. Furthermore, a business based in the UK may still be willing to accept a return in line with their terms and conditions. If you buy something from a UK-based business before Brexit and the product develops a fault, or if it is not delivered, you may not have access to redress using the European Consumer Centre (ECC) or the European Small Claims Procedure after Brexit. However, you should still make a complaint to the business. If the business is unable to resolve your complaint, you could contact your credit or debit card provider and request a chargeback on the basis that the goods were not delivered or were faulty. When you buy from a business outside the EU, you pay Value Added Tax (VAT) if the value of the items plus shipping is €22 or more. VAT must be paid on imported items at the same rate that applies in Ireland for similar goods. You also legally have to pay import charges such as customs or excise duties on items you buy from outside the EU which are valued at €150 or more. Before ordering from outside the EU, find out what VAT and import charges you may have to pay. If you buy from outside the EU and you return the item, you may be able to claim a refund of Customs Duty and Value-Added Tax (VAT). Revenue provides information on how to do this. Many retailers in Ireland are UK chains with a significant retail presence here. You might wonder whether your consumer rights will change after Brexit if a shop in Ireland is owned or run by a UK chain. The answer is no – all your consumer rights will be exactly the same when you buy from a shop in Ireland before and after Brexit. Get more information about buying goods and faulty goods. EU legislation gives you specific rights and entitlements when you book a package holiday from an operator in an EU member state. A tour operator might be located in an EU member state, including Ireland, or outside the EU, including the UK. If you buy a package holiday from an operator that is based outside Ireland, ask them or your travel agent organising what arrangements are in place if the operator goes out of business. If they go out of business, are they bonded and will that bonding pay you compensation or arrange to get you home? If your holiday is cancelled, what will they offer you? A refund, or an alternative holiday? If your holiday is altered, for example, if the accommodation you booked is no longer available, what will they offer you? In the event of a ‘no deal’, the EU Commission has confirmed that if you bought a package holiday from a UK-based organiser, your current consumer rights will still apply if the travel agency marketed the package holiday in Ireland. If the travel agency has not marketed the package holiday in Ireland, your rights as a consumer will depend on UK law. Roaming charges within the EU were abolished in 2017. This means you can ‘roam like at home’ and pay the same for calls and texts as you would at home. If your bundle includes unlimited calls and texts, then you also have unlimited calls and texts in the EU. According to Comreg, roaming arrangements for EU citizens visiting the UK will depend on the relationship agreed between the UK and the EU. However, many mobile operators in Ireland have indicated that there will be no return to roaming charges for customers travelling to the UK after Brexit (April 2019). As a citizen of the EU, there are many areas where your rights come from EU legislation. The Government Department and organisations listed below may be able to help you with queries you have on specific issues. Commission for Aviation Regulation (CAR) The Commission for Aviation Regulation monitors and regulates the laws covering air passengers’ rights. Its website gives comprehensive information on your rights and entitlements in the event that your air travel plans are disrupted. Commission for Communications Regulation (ComReg) ComReg is the statutory body responsible for the regulation of the electronic communications sector (telecommunications, radio communications, broadcasting transmission and premium rate services) and the postal sector. National Transport Authority (NTA) The National Transport Authority is the enforcement body in Ireland for consumer rights when travelling by sea and inland waterway. Road Safety Authority (RSA) Information on Brexit and driving licences. Commission for Regulation of Utilities (CRU) CRU is Ireland’s independent energy & water regulator with a range of economic, customer care and safety functions. 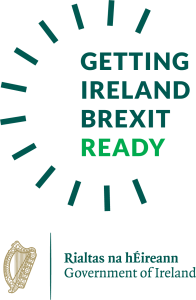 Central Bank of Ireland Information on Brexit and financial services. Data Protection Commission The Data Protection Commission (DPC) is the national independent authority responsible for upholding the fundamental right of individuals in the EU to have their personal data protected. Citizens Information The Citizens Information Board is the statutory body which supports the provision of information, advice and advocacy on a broad range of public and social services. Revenue Information on duty free and taxes and charges when shopping outside the EU. Department of Foreign Affairs and Trade Information on social welfare, health, living and studying in the UK after Brexit. Are you a business owner? See our ‘Brexit and your business’ page for information and guidance relating to Brexit. You can also get information on how to comply with competition and consumer protection law in our Help for Business section.